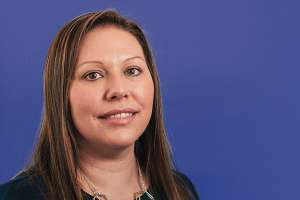 Tracy runs the residential conveyancing department in the Clifton office and specialises in sales, purchases, re-mortgages, transfers of part, assents, and shared ownership matters. Having worked within the Bristol market since 1996, Tracy is a familiar figure to other residential property solicitors and estate agents in the city. She has built a strong reputation among her peers and has a loyal client following who value her warm, friendly manner and highly efficient approach. Tracy qualified as a Chartered Legal Executive in 2003. Tracy completed her Legal Executive training whilst working for Osborne Clarke before taking positions with Meade-King and Lindleys. I wanted to say a huge thank you to you and all of your team, for all your hard work in the purchase of our house. We particularly appreciated your accessibility and clarity, when explaining some of the more laborious stages, especially related to the rent charge! We would have no hesitation in recommending you wholeheartedly to other would-be buyers. You were fantastic from start to finish and we could not hesitate to recommend you. Effective and timely communication. Polite, professional and helpful. Tracy was really brilliant. We were particularly impressed with how she dealt with the vendors solicitor prevaricating. "Have felt all through the process that Tracy was on top of all that needed to be done and was pleased at how helpful and responsive she (and all staff I’ve dealt with) has been." We found your help, advice and attention ideal through this rather complicated transaction. Tracy and her team injected the urgency required to meet the deadline. A Thoroughly professional job done under challenging circumstances. This is the second time we have used Star Legal. Extremely professional team. Very supportive and helpful. Just keep doing what you are all doing – much appreciated.